Come on out! The Blackstone Valley Art Association is sponsoring the “7th Annual Anything Goes Photography Show” – and the public reception is Friday, January 18, 2019 from 4-7pm! This show has a Film Photography component. Come on out to the reception to see the film cameras in person, talk with the photographers, and learn more about the fantastic world of film photography! 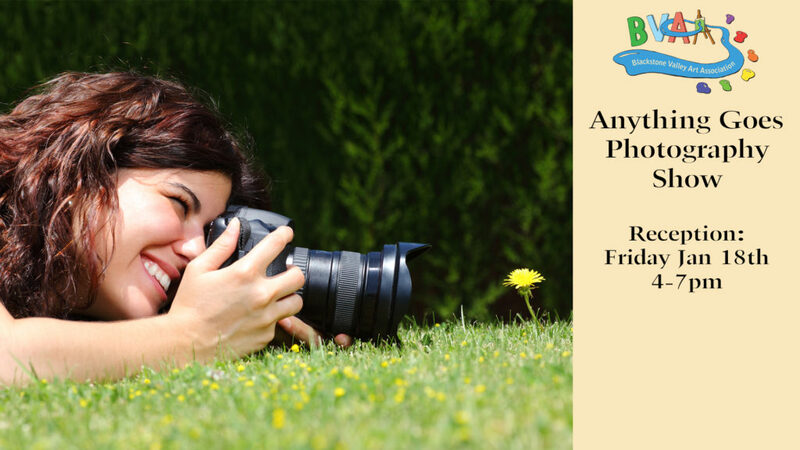 We have an entire series of FREE workshops on photography from January through March. Be sure to come out and explore your creativity!